The Edwards CPA Group prides itself in being transparent and having a simple fee structure. Most business services and tax returns will fit into the fees described below. Sure, there’s always the outlier or the unusual situation, but the following information gives you an idea of our philosophy. We only have time on this earth to sell and we cannot inventory it. Therefore, our fees are an attempt to coincide with expected time spent. In addition, we try to maintain historical fees for returning clients. Remember this however when you ask for your next annual raise or contract rate- we’re no different. Most of our clients are primarily in New England, Florida, New York, Tennessee, California and Texas but we serve business owners in all 50 states. We specialize in tax preparation for small business, LLCs, rental properties, capital gains, asset dispositions, etc. Typical fee range is $350 to $700 (includes Aug and Nov tune-ups) for standalone individual tax returns. Our primary focus is business consultation, deduction optimization and tax return preparation. Typical fee range is $800 to $1,300 (includes Aug and Nov tune-ups) for partnership and corporate tax returns depending on the quality of your accounting records. We also prepare 990 Tax Return and State of NH Annual reporting and financial statements for grants and scholarships. We offer monthly financial statements for reporting to Boards. Typical fee range for monthly reporting including annual return and financial statement is $550-$850 per month. For annual tax return including financial statement is $2,500-$3,200 depending on the quality of records. Tax Prep only ranges from $900 -$1,500 depending on size and complexity. We review your notices and tax return history, can stop garnishments and liens, and complete offers in compromise and installment agreements so you can breathe again.And the best is, you never have to appear before the IRS! Cost is on a case by case basisand depends on the complexity/facts. We can form your Non-profit. Including Articles, EIN, Operating Agreement, Board of Director write ups, and the information necessary to prove that you do qualify for non- profit status. With us preparing everything, coupled with our knowledge and expertise, it increases your chances of being approved by the IRS tenfold. Cost is typically $5,000-7,500 for those organizations who are serious about becoming a non profit. Agreement, S Corp election (if necessary) and consultation to help you launch your venture. Discounts for multi-tiered entity structures. We can have your entity taxed as an S corporation for $300. We also easily elect late S Corp elections back to Jan 1 of prior year for $375. You can quickly save 8 to 10% on your net business income by reducing self-employment taxes! Yay! 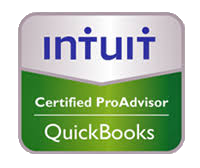 Accounting service through our partners is typically $250 to $400 per month or $450 to $600 per quarter, depending on your reporting cadence. Turn-key payroll up to 10 employees paid bi-weekly with direct deposit is $160 per month. Our fee is $150 for 40 minutes. If we engage into future services, we will credit the $150 towards future professional fees. Get solid answers right away! 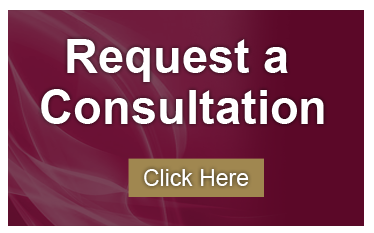 If we don’t have the competency we will tell you that as welland refund the consult fee.